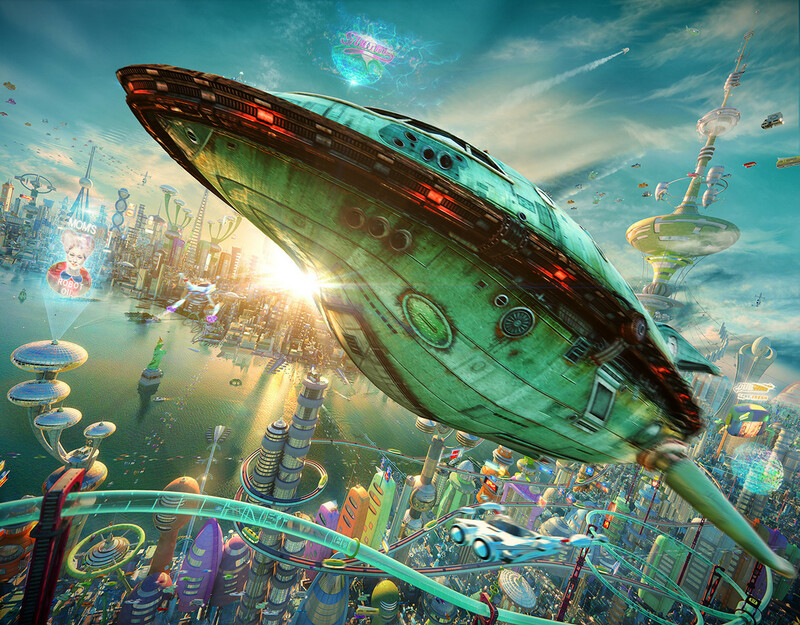 Artist Alexey Zakharov has welcomed us to the world of tomorrow in his 3D planet express ship. While we never (hardly ever) endorse remakes/sequels/prequels/reboots around here, I think I could almost make an exception for a live action Futurama if it looked like this. Zakharov’s New New York is stunning looking (I have goosebumps. Actual goosebumps), and his Planet Express ship would give Starfleet’s finest a run for their money. Check out the bustling cityscape – complete with Mom hologram – below. And your new desktop wallpaper.